Who knew putting letters closer together could cause so much anxiety? The new Zara logo is invoking strong feelings — but mostly anxiety. Gone is the minimalist, well-spaced logo of the past, which has been replaced by four letters that are allsmushedtogether in the company's newly unveiled design. It's a little too close for comfort for some fans of the clothing retailer. It's the company's first logo change since 2010 — just the second in its 45-year history — and was created by advertising agency Baron & Baron. The redesign follows new designs by companies like Slack, the office messaging tool, and fellow clothing brand Kate Spade in recent weeks, which had the internet wondering why they were necessary. Zara shoppers were scratching their heads or experiencing the claustrophobia the letters in the logo must be feeling after seeing the new design. Others joked that they'd only get closer together over time. 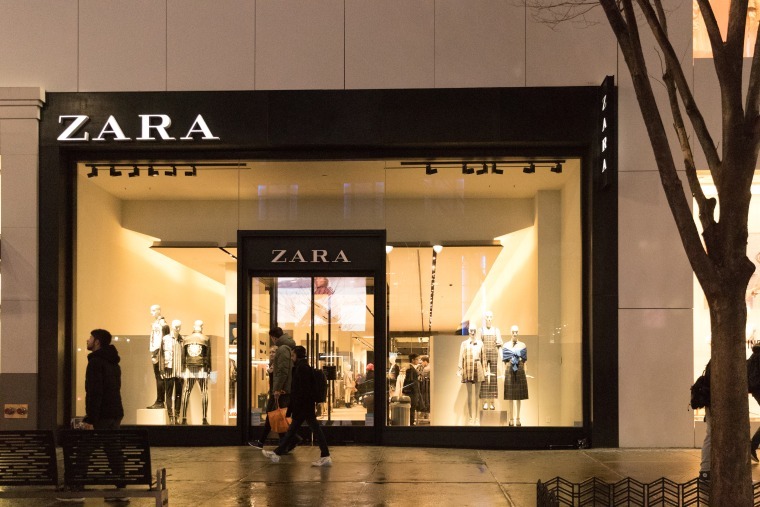 Zara's new logo also comes as well-known fashion retailers like Burberry, Balenciaga and Yves Saint Laurent have homogenized their logos using the same sans-serif font. Those brands have moved to cleaner, more legible, similar-looking logos, while Zara has gone in the opposite direction. It doesn't appear to have hurt the stature of their clothes, particularly among royalty. Queen Letizia of Spain wore a teal pleated jumpsuit dress from Zara to an official event on Thursday. Catherine, Duchess of Cambridge, was spotted wearing a blue-and-white striped sundress from the retailer last summer during a trip with her children. Whether it makes you feel claustrophobic or cozy, it looks like the new logo is here to stay.